Both characters will have new outfits when the greetings launch in early June. 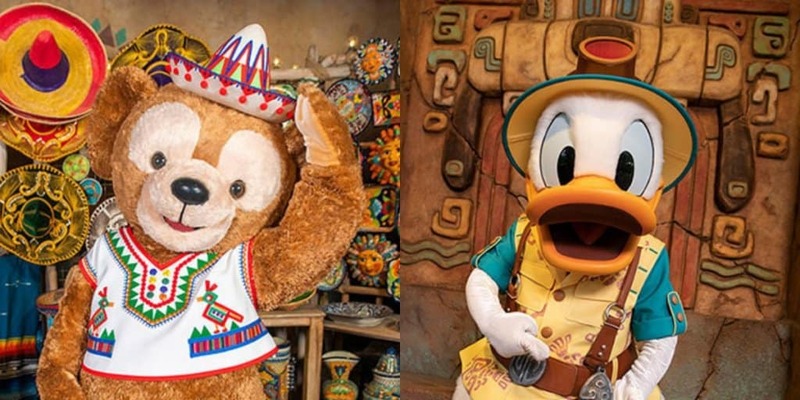 Unfortunately, the new greetings mean the current Goofy and Donald (in his Latin American costume) greetings will come to an end. Check out the dates and details below. 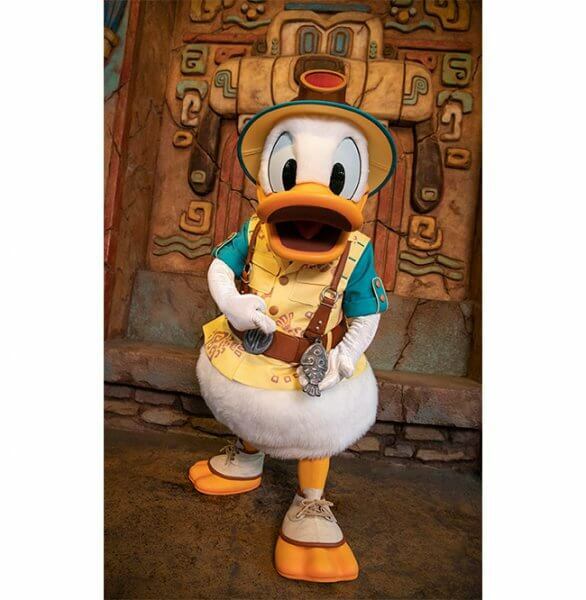 From June 1, 2019, guests can meet Donald in his new explorer outfit at Mickey & Friends Greeting Trail. 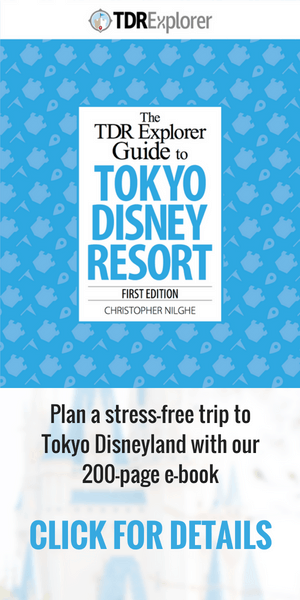 The trail will still host greetings with Mickey and Minnie, but the Goofy greeting will end on May 31, 2019. Until May 26, 2019, guests can meet Donald in his Latin American outfit at the Sardos Amigos! Greeting Dock. 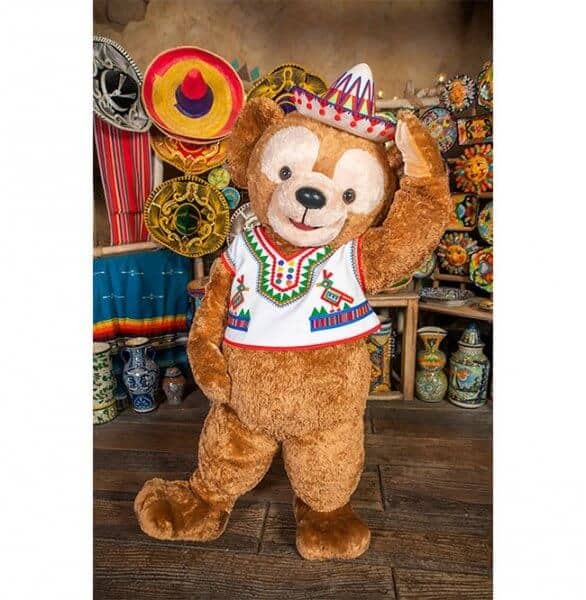 From June 3, 2019, Duffy will appear in a new Latin American-inspired costume at the Sardos Amigos! Greeting Dock. Duffy’s arrival in the Lost River Delta even has its own story! One day Mickey was visiting a small village in the Lost River Delta and introduced the villagers to Duffy. The people loved the bear so much they gave him special local clothing and set up a place to enjoy greetings in the market near the dock. Duffy’s last appearance at Village Greeting Place in Cape Cod will be on June 2. 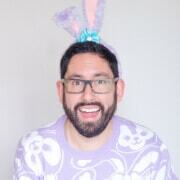 Then from June 3, ShellieMay will appear there.